While flipping through old Radiohead flyers in anticipation of the new album, I came across this one from Darren Grealish. We featured him just over a year ago, but he's been busy creating some killer pieces with distorted psych/glam touches since then. 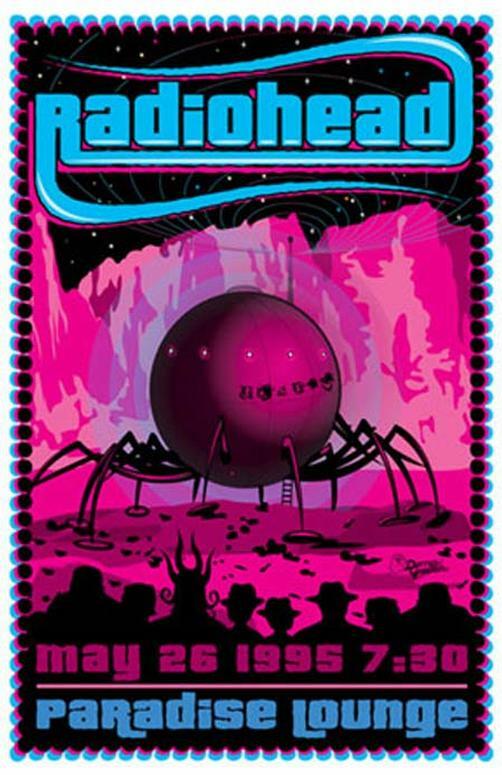 I'm feeling the neon drenched science fictiony poster from 1995 too, but in contrast to his recent work, it looks like an entirely different artist made it.